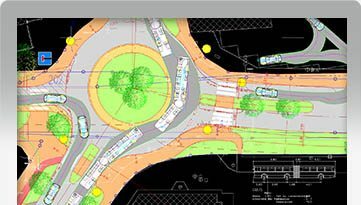 The purpose of this training is to provide more knowledge to new users of the AutoTURN 10 software that have previously attended the AutoTURN Essentials online training. At the end of the training session you will have learnt other way to add vehicle simulations, analyze movements for safety, and create your own custom design vehicles. Generate a vehicle simulation on existing line work representing a path or a terrain profile. Let AutoTURN warn you as simulations conflicts with other objects, check driver visibility and review vehicle speed along the simulation. In cases where a design vehicle has to transport a specific load, it’s possible to add a Load shape. When you need a specific vehicle that’s not a standard design vehicle you can create it yourself.  Perform vehicle conflict analysis and receive real-time visual feedback on any simulation path obstructions. 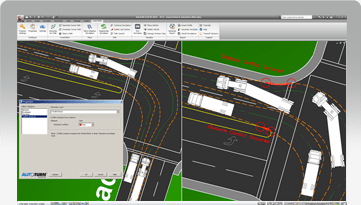 AutoTURN also comes with the ability to regenerate an existing simulation to account for conflicts that occur after path obstacles have been added, removed, or modified. 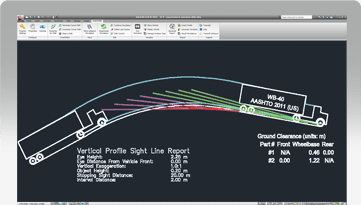 Easily perform 2D horizontal or vertical profile vehicle sightline checks using alignments, arcs, and polylines with real-time feedback for different sightline lengths. Produce vehicle speed profile reports which incorporates elements like acceleration, deceleration and lateral friction to evaluate a vehicle's speed based on the path geometry. Computer system capable of running AutoTURN 10.2 on compatible CAD platform (see compatibility list).